Mark Mawson is an international award-winning photographer with over 21 years of experience capturing people and places. His specialty is shooting underwater and his incredible skill can be seen in full display in the Aqueous series below. Mark has recently returned to London after living in Sydney for several years. 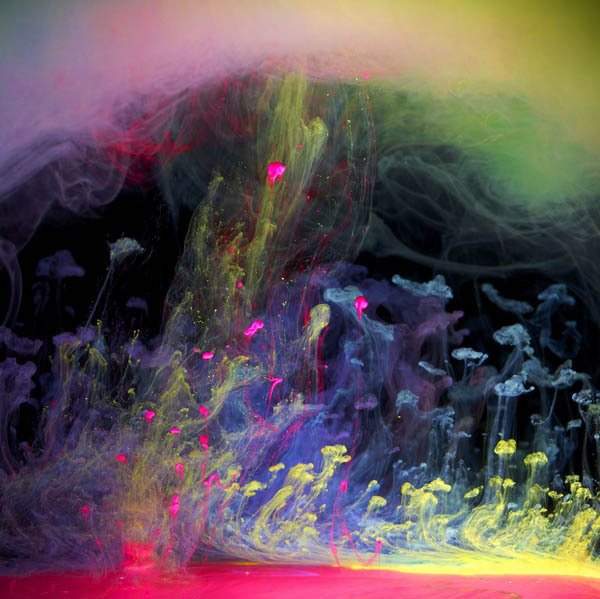 In his ongoing Aqueous series, Mark explores colour, water and ink; capturing incredible plumes of ink as they dance in the water. The shapes and colours are extraordinary, with his Aqueous Floureau series going viral at the end of last year. Below you will find a highlight from his two series, Aqueous Fluoreau and Aqueous Electreau. Be sure to visit Behance to see the entire collection.